1962 - 1970 guitarist, singer & leader - The Dynamites! 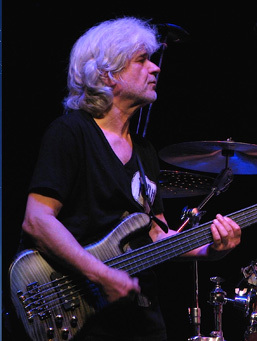 1968 - 1972 bassist with "Seelow"
since 2008 member of "German Jazz Masters"
since 2009 member of Don Grusin´s "The Hang All Stars" feat. since 2015 Wolfgang Schmid "The Next Kick"
winner of several polls in Germany and US. "Jazz In" - Swiss TV(SRG) feat. Alex Acuna, Tom Scott & Joe Sample. "Musikladen" (ARD) mit PASSPORT "
1992-	composed, performed and recorded the musical "MANAUS"
1996 -	composed, arranged & performed "THE DEEP"
2008 - composed and performed the musical "RAP-SODY"
2010 - composed and performed the musical "Rap-Sody II"
2010/11 - composed for Tatjana Busch "Clanging Objects"
2007 - LANGER/SCHMID/MESSINA "the beat goes on"